If you enjoy listening to podcasts and are a true crime fan, then by all means check out West Cork - An Audible Original True Crime Podcast by Sam Bungey & Jennifer Forde. Listening time for West Cork is 7 hours, 52 minutes. I was able to download West Cork - An Audible Original True Crime Podcast by Sam Bungey & Jennifer Forde for FREE from Audible to my Kindle. 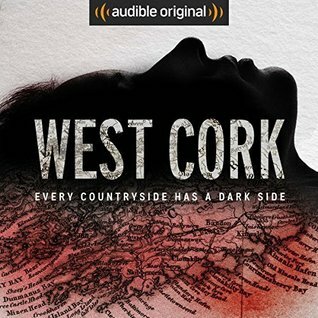 In fact, you can also download West Cork from Audible for FREE through May 9, 2018!! Below is my honest, unbiased review of West Cork - An Audible Original True Crime Podcast by Sam Bungey & Jennifer Forde. I enjoyed this podcast series quite a bit. But then again I enjoy the true crime genre in general as long as it is well done and intriguing...And of course, West Cork, I felt was well done. I felt like the narrators/writers of West Cork (Sam Bungey & Jennifer Forde) are good ones. I also enjoyed hearing the interviews/clips about the key people/players from West Cork that were a big part of the investigation of the murder of Sophie Toscan du Plantier. It's amazing to me that Sophie Toscan du Plantier was murdered in 1996 and her murder has yet to be solved to this day. Sam Bungey & Jennifer Forde do a fine job of laying out the factual events of what happened to Sophie Toscan du Plantier, the investigation itself, the main suspect, and so much more, as there are plenty of twists and turns in this case! My only complaint about West Cork is there is no resolution as to who murdered Sophie Toscan du Plantier. It would have been wonderful to discover in the end who exactly murdered her. Maybe one day we'll all learn the answer. One noteworthy aspect of West Cork that I enjoyed, was seeing various additional material pertaining to the events in the case online on Audible's website, like a map of West Cork, photographs, etc. I am giving West Cork - An Audible Original True Crime Podcast by Sam Bungey & Jennifer Forde a rating of 4 stars out of 5 stars. Until my next post, happy listening! I was skeptical of this when it first started, but I'm seeing lots of great reviews on it. I'm not a podcast girl, though. I liked everything about West Cork, except the unresolved ending. If you aren't into podcasts, then skip on this podcast.